Las Vegas, NV (November 21, 2013) – We are saddened to report that Watsuki-sensei has had to cancel his appearance at Otakon Vegas. Changes to his production schedule have required him to forgo his planned time off, and he is no longer able to attend. This is extremely disappointing to everyone (not least Watsuki-sensei himself), but guest appearances are always subject to professional commitments, and there is a lot of activity happening on the Kenshin front. However his wife and novelist, Kurosaki-san, will still be attending Otakon Vegas. In addition, their good friend, a writer and manga creator, has agreed to attend the inaugural Otakon Vegas 2014. “Due to a new Rurouni Kenshin project that just came in, my work schedule now forbids me from attending Otakon Vegas. I am terribly sorry … please accept my sincere apologies. In lieu of my attendance, I would like to introduce a wonderful new guest for Otakon Vegas: His name is Riichiro Inagaki, the writer of the popular SHONEN JUMP manga Eyeshield 21. Inagaki-sensei was in charge of writing the story and storyboards (nemu) for the American football manga. While we are sorry that Watsuki-sensei cannot make it, we are delighted to welcome Inagaki­ sensei, and very appreciative of the assistance in bringing us a new guest. Born on June 20, 1976, Riichiro Inagaki is a manga writer. After winning the Weekly Shonen Jump magazine’s 7th Story King award for the nemu (storyboard) section in 2001, the serialization of Eyeshield 21 started in Weekly Shonen Jump in 2002 (illustrated by Mr. Yusuke Murata). In Japan, the American football manga ran until 2009, spanning 37 manga volumes. Its anime series ran on TV from 2005 to 2008. Mr. Inagaki originally started his professional career as a manga artist in Big Comic Spirits with his debut work Nando demo 6.13 (June 13). His other works include Square Freeze, Love Love Santa, Kiba & Kiba, and Shinpai Kaito No Face. 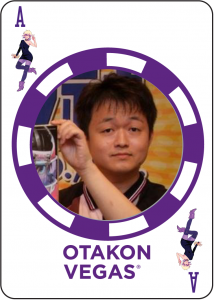 ABOUT OTAKON VEGAS AND OTAKORP, INC.: Otakon Vegas is the first annual celebration of Japanese and East Asian popular culture presented by Otakorp in Las Vegas, Nevada. Otakon Vegas celebrates popular culture as a gateway to deeper understanding of Asian culture. 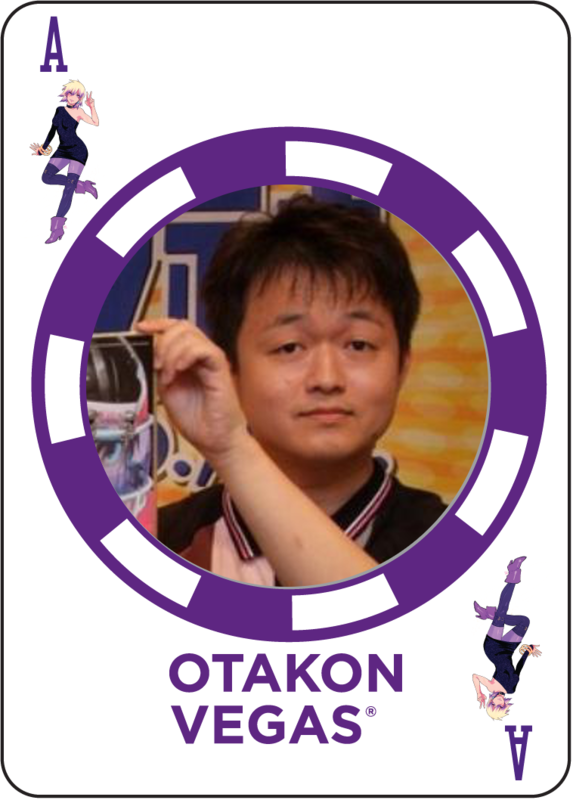 Otakon Vegas is a ticket based convention sponsored by Otakorp, Inc., a Pennsylvania-based 501(c)3 educational non-profit whose mission is to promote the appreciation of Asian culture, primarily through its media and entertainment. Otakorp, Inc. is directed by an all-volunteer, unpaid staff­ we are run by fans, for fans.